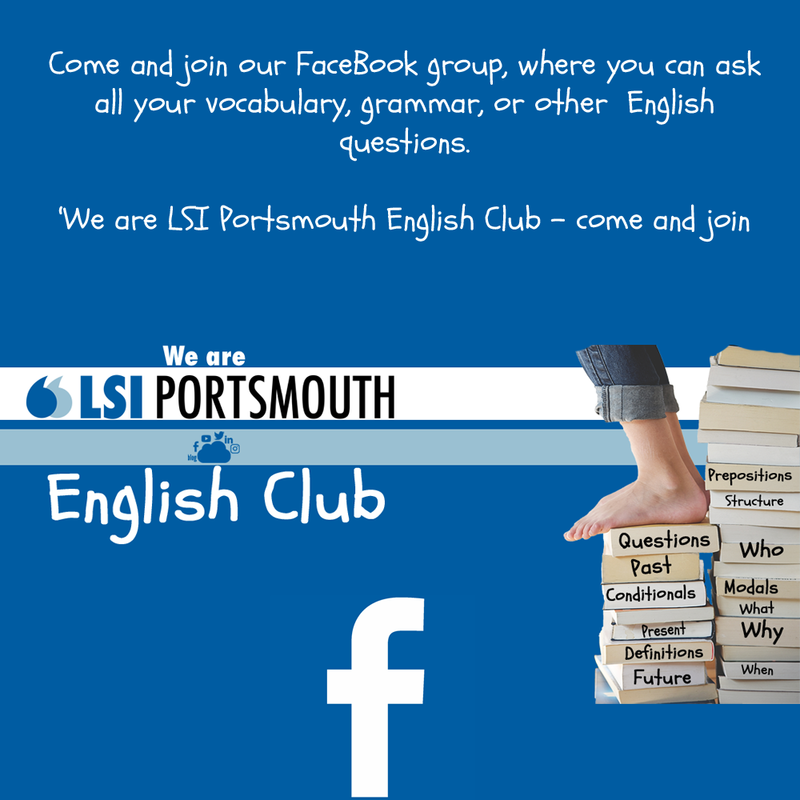 We have revamped our group on Facebook to become an English club. Here at LSI Portsmouth we love the English language. Our aim is to give our students the best experience they can have while they are here, give them the best tools possible to continue with their English and give them the best social experience while staying with us. We know that students often have questions to ask that they just can't in class or don't have time to. So we thought the best answer would be to have a little collegiate group where they can help each other. This will be a place where students can come and ask their questions about English; tenses, vocabulary, question forms, prepositions, in fact, anything that confuses them. We realise that sometimes it just isn't possible for the teacher to answer every single student's question, or maybe the question comes up over the weekend. So we are hoping that this becomes a community area for students to ask and help each other.